Bats tend to have a bad reputation. They sleep all day, party at night, and are commonly thought to be riddled with rabies. A study by University of Calgary researchers has confirmed that bats are not as disease-ridden as the stigma suggests. 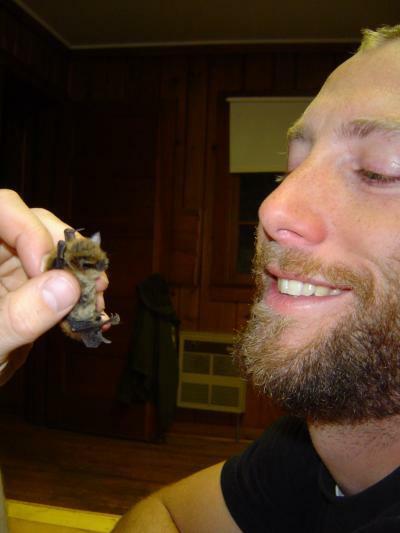 "The notion that bats have high rates of rabies is not true," says Brandon Klug, a graduate student at the University of Calgary and the lead author of a paper published in the Journal of Wildlife Diseases. "Those of us that work with bats have always known the rates are low; and now we have evidence that bats aren't disease-ridden vermin their reputation would have you believe." Previous studies have suggested that typically about 10 per cent of bats taken by the public to be tested have the disease and prevalence varies greatly, depending on the species and how often that species is around people. But University of Calgary research says the number is closer to one per cent regardless of species or where the bats roost. Researchers compared bats turned in by the general public and those randomly sampled from their natural environment. In the field, they looked for the disease in carcasses of migratory tree-roosting hoary bats (Lasiurus cinereus) and silver-haired bats (Lasionycteris noctivagans) killed by wind turbines. These species are among bat species with the highest reported prevalence of rabies in North America. At the same time they compared these bats with rabies prevalence from literature contained in public health records in North America. 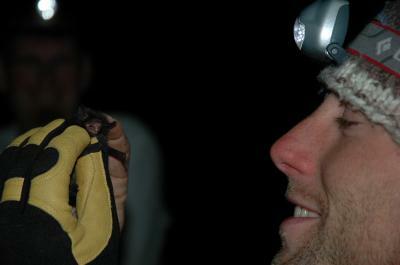 "This study is significant because it confirms that rabies rates for bats has been over-estimated. It's also the first time such a rigorous literature review has been completed on this topic," says co-author Dr. Robert Barclay, biological science professor and head of the Department of Biological Sciences at the University of Calgary. University of Calgary researchers sent 217 carcasses to the Centers of Disease Control and Prevention in the U.S for testing. They also reviewed the literature on reported rabies in multiple bat species in North America covering the past 56 years, which included 65,096 bats. Bats, along with other species including foxes, skunks and raccoons, are considered reservoirs for the disease. Rabies is passed from bat to bat at a rate that keeps the virus in the population, but rarely fast enough to eradicate the bat population or slow enough to result in the demise of the virus. "Since the background rabies rate in bats is low, less than one percent, people should focus more on the ecosystem services they provide without worrying that every other bat has rabies. This is especially important right now because bats are facing some heavy threats, like wind turbines and white nose syndrome," says Klug. "With that said, healthy bats normally don't come in contact with people, so those that do are more likely to be sick, so we're not encouraging people to go out and handle them."